Chris Pratt and Ariana Granda will appear on the premiere of "SNL." The reign of Chris Pratt continues. The "Parks and Recreation" and "Guardians of the Galaxy" star will kick off the 40th season of "Saturday Night Live" with musical guest Ariana Grande on Saturday, Sept. 27. Sarah Silverman and Maroon 5 will headline the October 4 show. 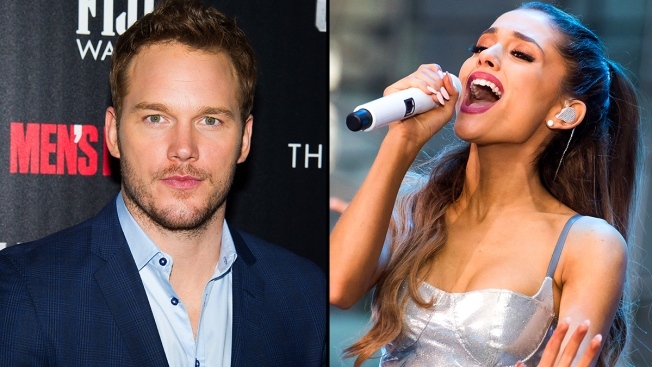 This is Pratt's first time hosting "SNL" and Grande's musical guest debut. Next up for Pratt is the final season of "Parks and Recreation," "Jurassic World" and a "Guardians of the Galaxy" sequel that was announced prior to the film's release. Grande is currently topping the Billboard 200 chart with "My Everything." Silverman was a cast member on "Saturday Night Live" during the 1993-1994 season. This is her first time returning as host. Her new comedy album from her Emmy-winning HBO special, "Sarah Silverman: We Are Miracles," drops September 23. The October 4 show will be Maroon 5's fifth appearance as a musical guest. NBC will celebrate SNL's historic 40th season with a live three-hour special on February 15, 2015. The show will feature past and present cast members and guests from the show's legendary run — and it's just one of the ways NBC plans to celebrate "Saturday Night Live." "Saturday Night Live" returns for its landmark 40th season on Saturday, Sept. 27 at 11:30 p.m. on NBC.